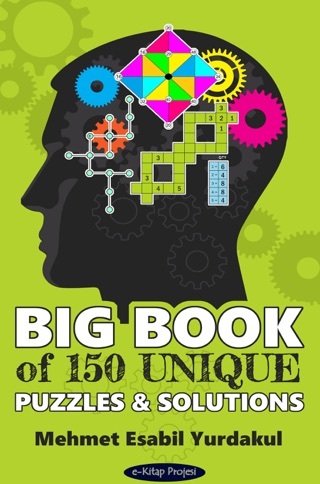 In this book, there are 150 unique puzzles and solutions of 16 different categories. Each puzzle is unique. These are nowhere to be found. All my own production, 150 puzzles with characters numbers, geometric, mathematical, logic and will delight readers of all ages. 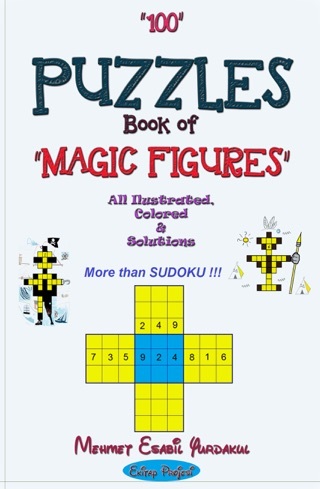 Puzzles in this book, all illustrated, all different figure, different size and with different levels of difficulty. Some are easy, some are hard some are very difficult. They are very entertaining and easy rules and easy to understand. My puzzles improve the following abilities of people, for example: -comparison -argumentation -focusing -Troubleshooting -Create a solution - motivate -independence -Scientific thinking and research, cause-effect relationship, etc. For people my puzzles is fun, very challenging, educational, scientific and protects against stress, keeps the brain young. İt is very helpful for all. I think Puzzle-Lover of all ages will love my puzzles very much. They are very entertaining. Mehmet Esabil Yurdakul, born in 1956, Electrical engineer. He went to F. Germany in 1979. During his education he worked in various jobs. He returned to Turkey in 1984 and he began in 1985 to working in Turkey. 1991 he went official to Germany and worked there about 11 years. For about 20 years, he has been producing intelligence games / puzzles as a hobby. As an amateur together with his family, he published in 2007-2008 monthly puzzle magazine “Esobil Zeka Oyunları"
Together with a group of foreign authors, he wrote a book titled, Spielzeit fürs Gehirn “playtime for the brain” published in German by Reader's Digest in 2014. Esobil Zeka Bulmacaları -I “Brain Puzzle Book-I” published by The Scientific and Technological Research Council of Turkey (TUBİTAK) in 2016. 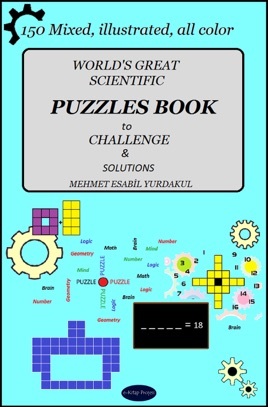 Esobil Zeka Bulmacaları - II “Brain Puzzle Book-II” published by The Scientific and Technological Research Council of Turkey (TUBİTAK) in 2018.